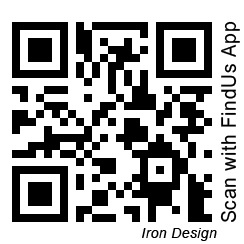 Iron Design has been manufacturing quality, custom made wrought iron for over 20 years with the current craftsmen. When it comes to quality we are second to none. The craftsmanship of our beautifully hand wrought pieces highlights the superiority of our work when compared to that of imported wrought iron products. Stylishly enclose your outdoor spaces with safe balustrades. Add functional & ornamental value to your home. Designed for comfort, style, & low maintenance in NZ conditions. Bring something different & handcrafted, to your indoor design. At Iron Design, we pride ourselves on producing quality modern Wrought Iron goods including All Gates- Driveway Gates, Pedestrian Gates, Balustrades and Fencing as well as Outdoor Furniture, Indoor Furniture, Chandeliers and Accessories. If desired, all of these products can also incorporate native New Zealand timbers. Both commercial and residential properties are catered for as we custom make products to suit your needs. Hand crafted products from the Iron Design factory showroom in Tauranga are hand sanded to ensure a smooth and superior finish. In addition to this, most of our products are completed as one continuous item so there are no screws or bolts needed other than those used for fixing into walls or floors. Most of our items can be made for outdoor use and these products are hot dip galvanized to prevent them rusting. When it comes to quality we are second to none and our beautifully hand crafted products highlight the vast difference with that of the imported wrought iron products. Imagine, design, & forge together. & discover our unique processes. Flexibility designed to suit you. Iron Design also offers our service to Auckland, Waikato and the wider Bay of Plenty. Our Out -Of Town days are scheduled as required and are by arrangement.